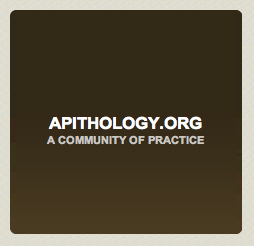 This is the official web site for practice in the field of apithology. Apithology is the discipline that looks at the dynamics of generative health and wellness in living systems. Apithology has as its conceptual antonym the field of pathology. They are counterpart disciplines. In pathology we may study the symptoms of ill health to discover the causes of disease. In apithology our primary focus is shifted to discover the dynamic causes of enduring and generative health and wellbeing. The present focus of research in this field is to combine knowledge domains from the fields of biology, sociology, and psychology to understand all that we may about the biopsychosocial health of human (and other) living systems. The vision for this research is to discover the generative potential for the wellbeing (and well~becoming) of humanity as a whole. There are prescribed qualifications to practice that involve completing the Apithology Practitioners Course and meeting specific practice requisites. Training in apithology practice is available at Apitholo ~ The Centre for Humanity Learning. If you would like to participate in our conversations, please inquire how to join our community of practitioners. We welcome contributions to this growing field. If you are just visiting and curious about this idea – an initial article from the Journal of Apithological Practice is available for free download.